Capture HTML elements to a PDF file is an interesting feature some projects may need. My need was to capture a dashboard full of widgets. We can search for the DOM element with a specific id, capture it as a png image and add it to a landscape PDF file, in this case with a unit measure in mm. 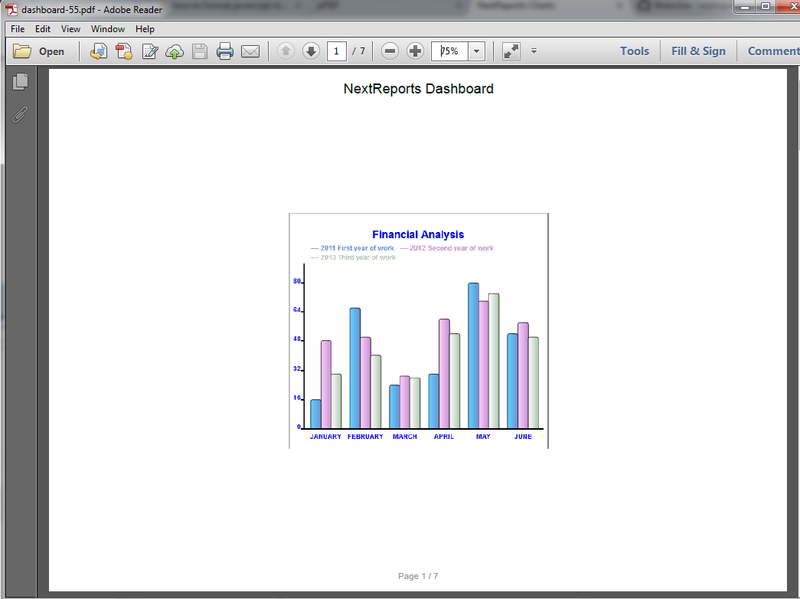 I added this feature to NextReports Charts library with an example in main-test.html. Here I tested for creating a pdf file with the full dashboard on a landscape page and for creating a pdf file with every widget on a different page. We need to specify the position as 1 because the method is recursive and position is incremented for every new page. 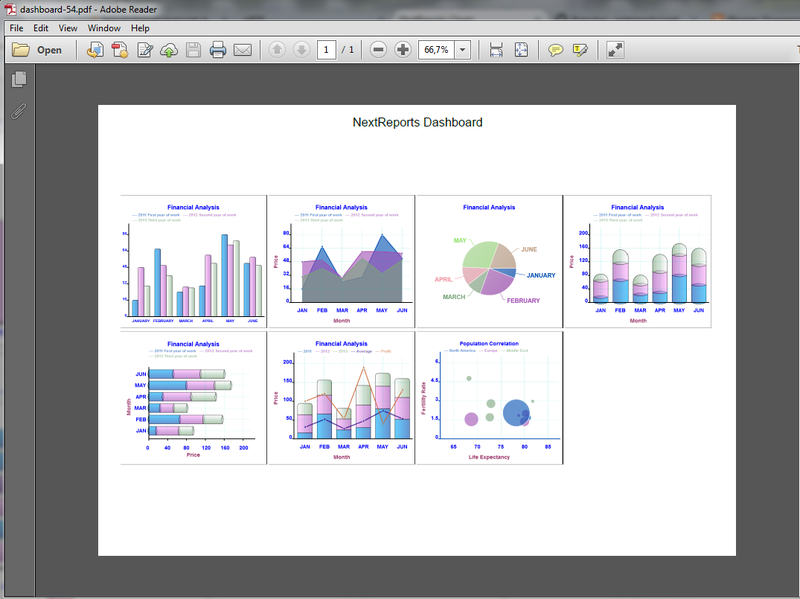 Using such tricks we may be able to make our dashboard to fit the visible area and PDF capture to look good.